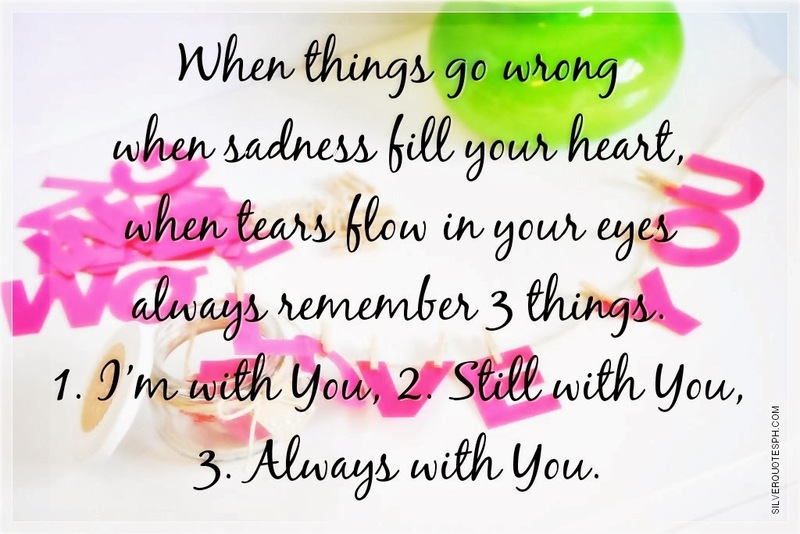 When things go wrong when sadness fill your heart, when tears flow in your eyes always remember 3 things. 1. I’m with You, 2. Still with You, 3. Always with You.